Tobacco, as it turns out, is good for more than a smoke. According to one North Carolina company, the plant can also be harnessed as a sustainable, cost-effective resource for the apparel and home-goods industries. 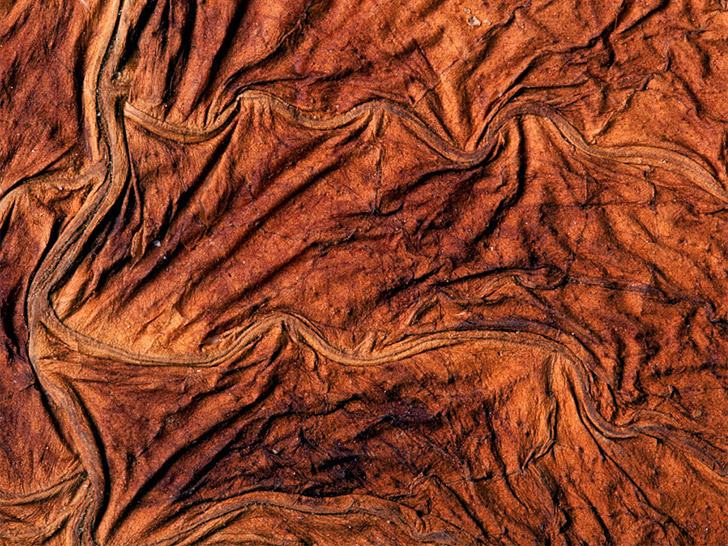 Because tobacco is cultivated only for its leaves, tobacco farmers typically throw away hundreds of millions of tons of agricultural waste each year. Through decades of research, however, Suzanne DeVall, founder of Ploughboy Organics, uncovered the plant’s untapped potential, not only as a nontoxic dye but also a fiber that blends well with yarns such as cotton, wool, silk, and cashmere. Based in Raleigh, the company is on a mission to create low-cost organic dyes and fiber using raw materials that are free from chemical agents and pesticides. Ploughboy only sources its tobacco from small, independent, and certified-organic tobacco farmers in the southern states, for instance. But more than simply using up an existing resource, DeVall’s patent-pending technology also requires a mere fraction of the energy and water used by conventional dyes. Plus, she claims that the process leaves virtually no toxic byproducts behind, eliminating the need to treat the resulting wastewater. DeVall says her patent-pending technology requires a mere fraction of the energy and water used by conventional dyes. Ploughboy has two lines in the works: “Avani,” a palette of 18 colors and “Onatah,” a forthcoming collection of fabrics and apparel spun from the tobacco stalk, which is said to be naturally antimicrobial. “We consider Onatah, along with our Avani dyes, to be a paradigm shift in the textile industry,” DeVall says. Tobacco, as it turns out, is good for more than a smoke. According to one North Carolina company, the plant can also be harnessed as a sustainable, cost-effective resource for the apparel and home-goods industries. 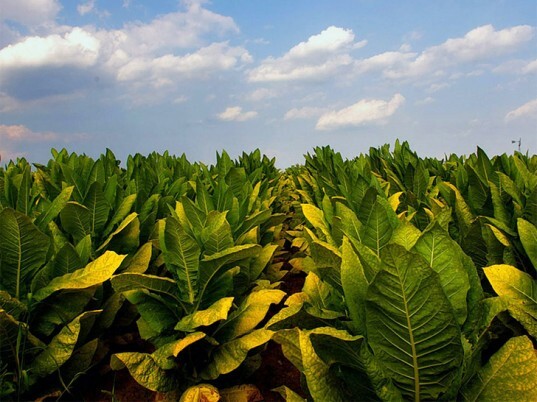 Because tobacco is cultivated only for its leaves, tobacco farmers typically throw away hundreds of millions of tons of agricultural waste each year. Through decades of research, however, Suzanne DeVall, founder of Ploughboy Organics, uncovered the plant's untapped potential, not only as a nontoxic dye but also a fiber that blends well with yarns such as cotton, wool, silk, and cashmere.